Lets just say my husband, son and I have morphed into a sort of private animal rescue league (yes, my husband is a saint). 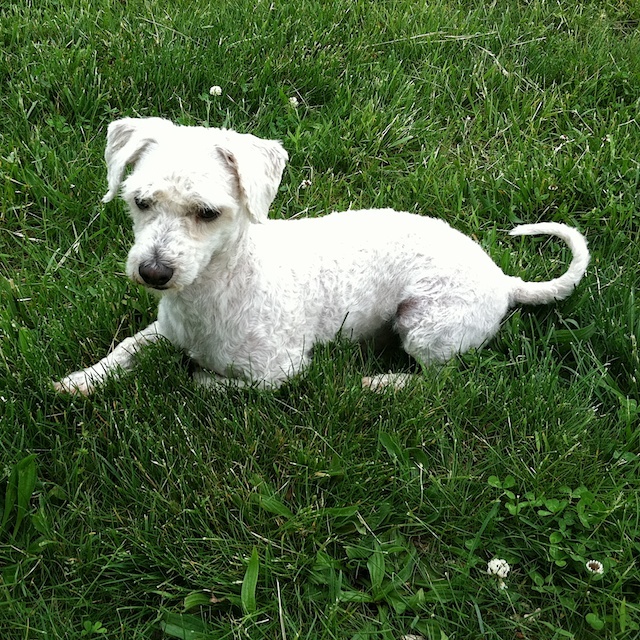 Anyway, as it turns out, most of our dogs are breeds, or breed crosses, that require regular grooming. 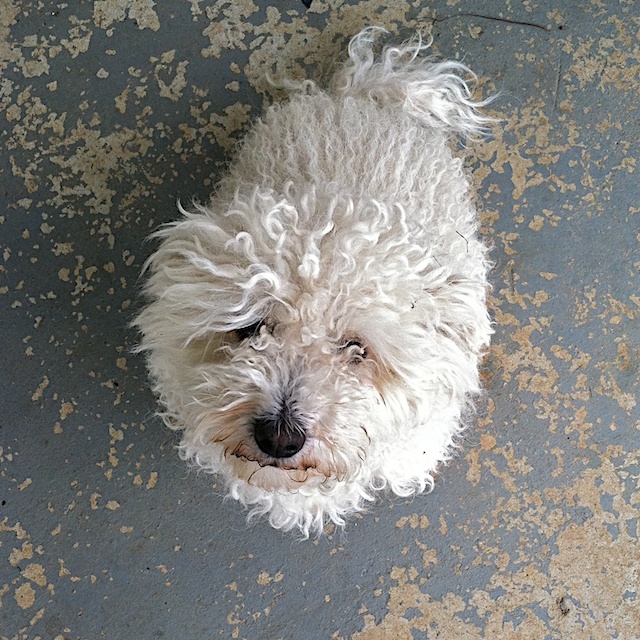 And that presents two problems: 1) Half of our dogs get car sick to and from the grooming salon, even the seasoned travelers; and, 2) Paying someone to wash and clip more than half a dozen dogs every few months can become both burdensome and pricey. Also, we purchased additional blades. In total, we have an Andis 10 UltraEdge 1.5mm blade, an Andis 7FC CeramicEdge 3.2mm blade, and an Oster 7F blade. 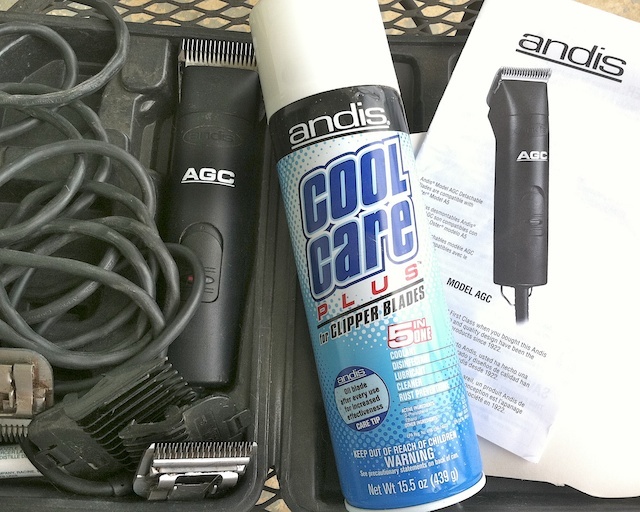 Our final purchase was a spray can of Andis Cool Care Plus coolant/disinfectant/lubricant/cleaner/rust preventative. We’ve found the spray essential to use throughout each grooming to keep the working blades cool and lubricated and the dogs comfortable. To be fair, I’m not altogether unfamiliar with clippers; owning more than two-dozen horses gets one accustomed to such things. However, the intricacies of grooming a dog is an entirely different animal than the broad swipes one makes clipping a big horse body. 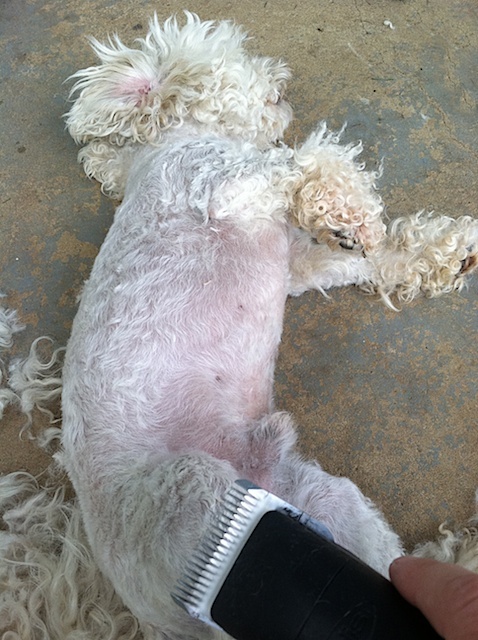 Certainly, there are grooming techniques, “dos and don’ts,” if you will, that professional dog groomers know and practice. My husband and I don’t have the slightest bit of training in such matters. 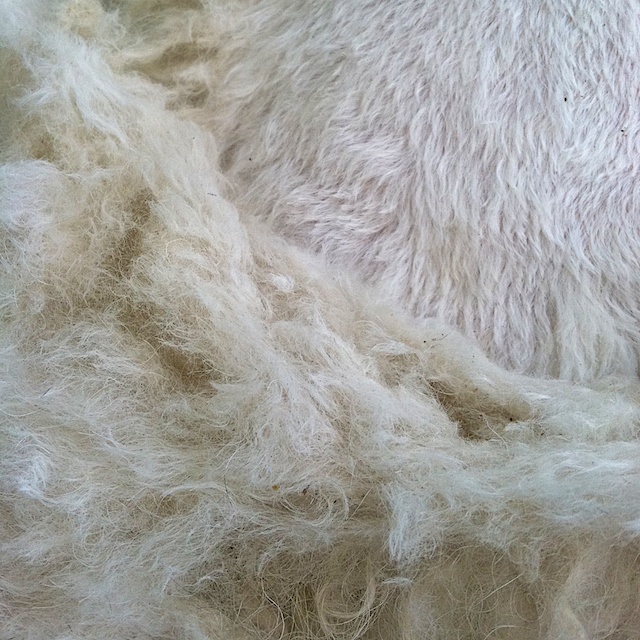 However, we are extremely careful, especially when it comes to delicate pup face and neck areas. We’d rather be safe and less perfect than sorry. Same goes for anything we do with grooming scissors. The health, safety and comfort of our beloved pets is far more important than making them look even close to “show perfect.” I won’t begin to discuss the horror stories I’ve heard about grooming “mistakes,” even those made by licensed professionals. 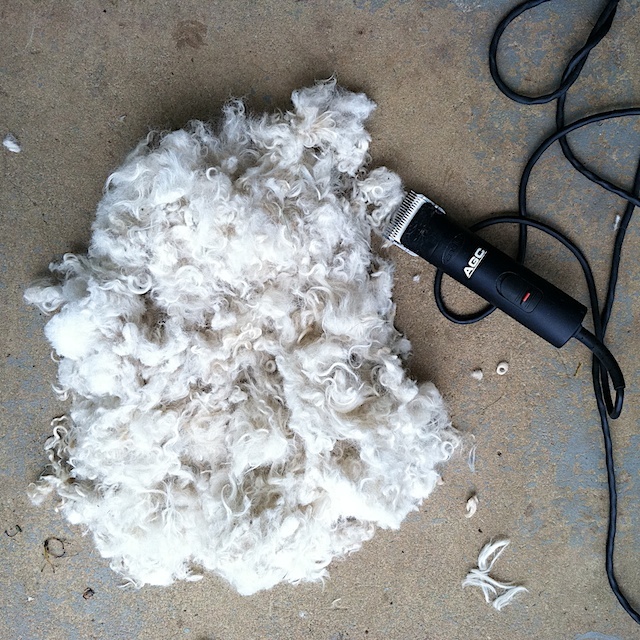 Regardless of our dog-grooming ignorance, we’ve managed for the last year and a half or so to take all dog clipping matters into our own hands. And, the results have been surprisingly good. Feet and faces still need a bit of practice, both from the dogs and their neophyte groomers, but, each time we do it, we all get better and better at the process. 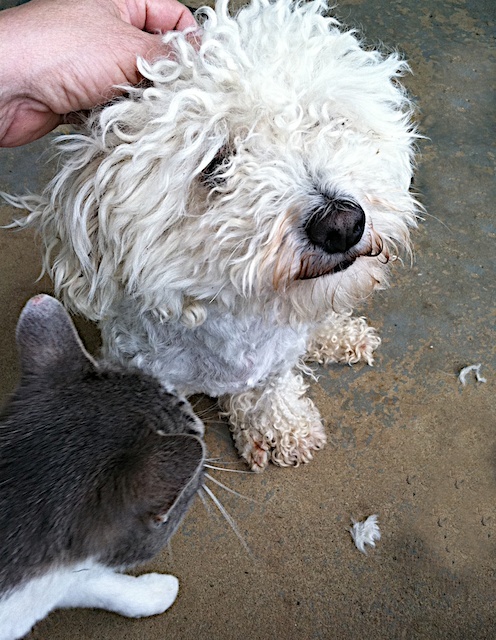 We don’t use a grooming table or any sort of restraint; in fact, our little maltipoo, Mr. Snuggy (who has a lamb-like thick, curly coat) has gotten so he just rolls over to “help” as we clip his underside. And, he always feels better after his grooming; for days and days, he is more playful, bright and affectionate after his haircut. 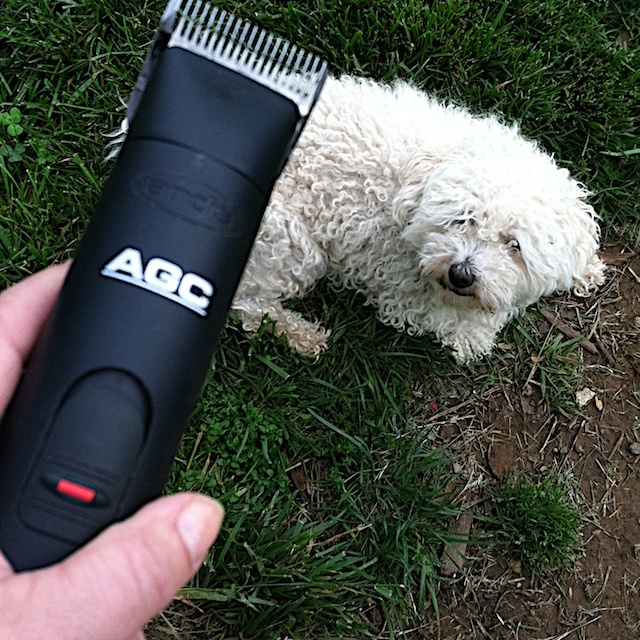 Without a doubt, the Andis AGC clipper has been the very best pet-related purchase we’ve ever made. Even so, our dogs don’t seem to mind the process nearly as much as they did the scary trip to the dog groomer. And, when it is all done, each dog always seems to appreciate his or her “new” coat. Especially Mr. Snuggy, who knows he’s a handsome fellow. 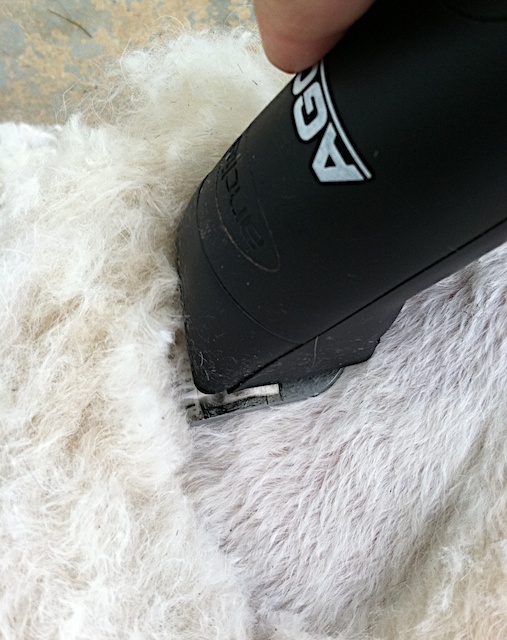 Best of all, we’ve saved ourselves a pretty penny and the hassle of unpleasant car interior clean-ups during rides home from the professional grooming salon!